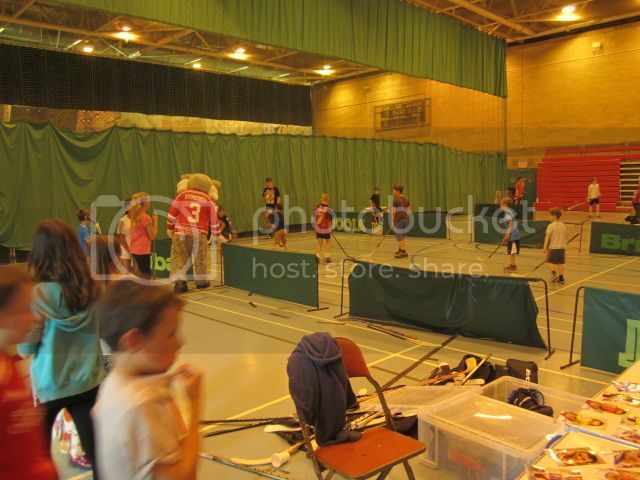 We’re going to have a busy close season from now on, if the first Wildcats Street Hockey Tournament is anything to go by, as over 50 kids descended on the Link Centre Sports Hall last Saturday [June 14] for our inaugural street hockey tournament! A bucketful of rogue shots aside, it's safe to call our tournament a resounding success, as teams and spectators turned out in force to showcase their skills for bragging rights (and prizes!) and we’d like to say a MASSIVE “Thank You” to everybody who turned out to enjoy the occasion. Play started at noon in the hall and a little sweat wasn't so uncomfortable for most playing or those who had come to watch, and with Lee Richardson and Shane Moore both making an appearance as they were revealed as the latest Wildcats signings, a lot of fans went home happy after a great day all round. If you'd like to put any pictures from the day online, we'd love to see them on our Facebook page!